As 10,000 Birds’ New Zealand beat writer, I sometimes should write about New Zealand birds, but today I thought I’d talk about a bird that people thought was one but almost certainly wasn’t. It’s a species that I was able to see and photograph while visiting Australia last Christmas, or at least it would have been, had it ever existed. It is one of the many species that went extinct in New Zealand, only for once it didn’t. This is the story of the pelicans of New Zealand. 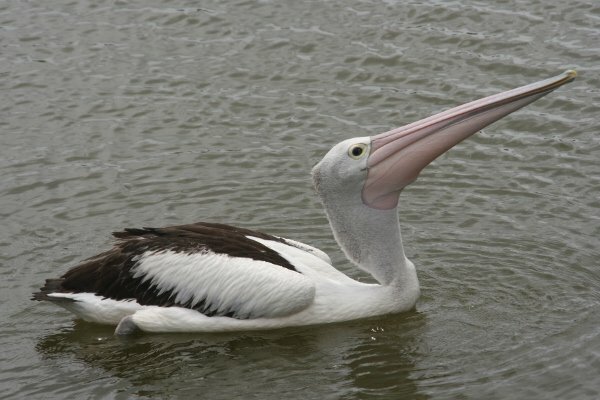 No pelicans were recorded in New Zealand when the Europeans first arrived, and it wasn’t until 1930 that fossils of pelicans were discovered in a cave in central North Island. 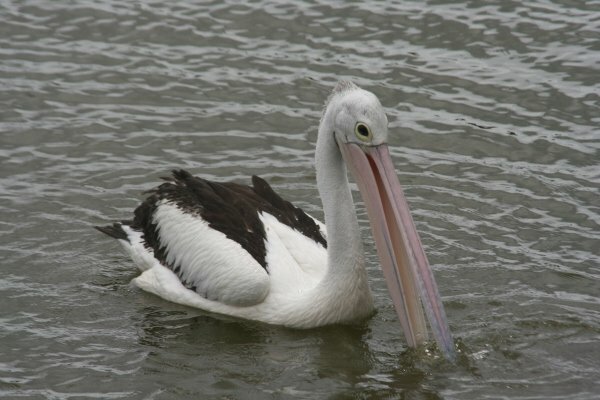 Gilbert Archey, who found the remains, attributed them to the Australian Pelican. Further remains were found in the 1960s, and slight variations in the pelvis and a slightly larger size led one scientist to place the New Zealand fossils in its own subspecies, and in 1981 another team, elevated the fossils to a full species, the New Zealand Pelican. An extinct endemic form of pelican in New Zealand would have represented another family lost, like the odd form of owlet-nightjar and New Zealand’s lost members of the hawk and eagle family. But it seems the story wasn’t so clear cut. For starters New Zealand didn’t seem to have or have ever had the right type of wetlands to sustain a population of this large piscivore. And the fossils themselves were vanishingly rare. The fossil record here is actually very good for birds, but across the whole of the country the entire collection of bones of pelicans only represented seven individuals. 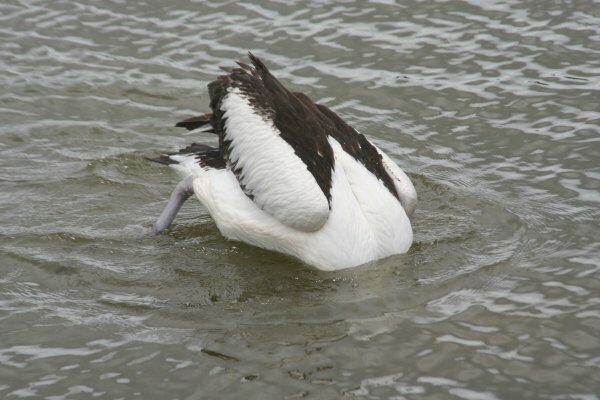 A more thorough examination of the bones showed they fell within the natural range of Australian Pelicans, and that was indeed what they were. So what were these Australian birds doing in New Zealand? The answer should be obvious to any birder that enjoys a bit of twitching; they were lost.The species is actually prone to that; they regularly turn up in New Guinea and the Solomon Islands. Like Snowy Owls or crossbills they are also prone to irruptions, caused by Australia’s extreme climate, that have seen birds wandering as far from Australia as Indonesia, Palau, and Fiji. And, sometimes, New Zealand. Since New Zealand broke off from Gondwana some 70 million years ago with the ancient ancestors of the New Zealand wrens all the other birds that live here have arrived by flying across the sea. Records of vagrancy show that many species arrive but only a few species actually survive and establish. The pelican fossils found in New Zealand represent something very unusual, a prehistoric record of seven such ancient events. 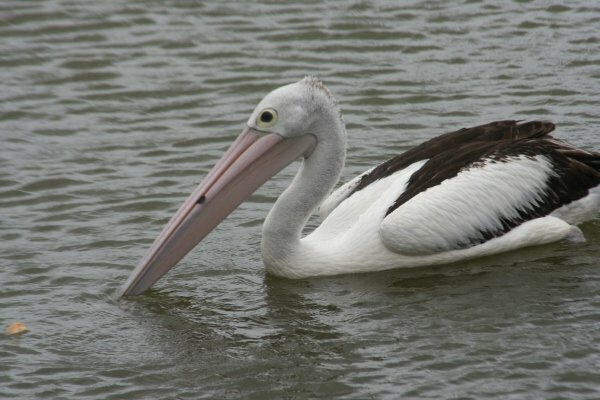 Pelicans may not be part of the avifauna of New Zealand, but they are certainly part of the story of New Zealand’s birds. That is so cool! 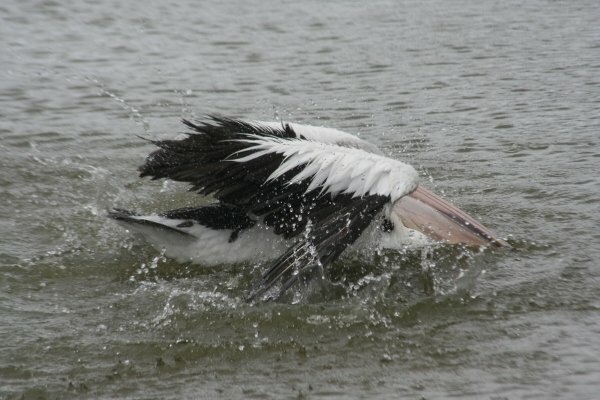 Any chance the pelican bones were brought in by humans, e.g. traders who occasionally visited NZ from Australia (if this happened occasionally)? I once read somewhere on the almighty internet that skulls of the Ivory-billed Woodpecker were traded across much of North America because they were so decorative. Could this have been the case for pelican bones to NZ? Well, the pelvis might not be very symbolic, but the possibility still seems interesting to me. Interesting post! Thanks for sharing this fascinating detective work. I loved the Australian Pelicans when I was in Australia a few years ago, maybe even more than my favorite bird, the Brown Pelican we have here on the West Coast of the US. Jochen – I don’t think that there was any human context to the pelican bones found and neither was there trade between Oz and NZ. The Maori arrived from the east, and most likely if they had brought bird parts from Australia would have been happy enough with brightly coloured feathers. Hi Duncan, You state that NZ does not seem to have the right type of wetlands for breeding. Can you explain what factors you think NZ is missing i.e. are wetlands too small, not enough fish resources, too much vegetation? Also, how did you obtain your info on the 7 fossil records (latitude and longitude would be helpful for an assignment I am doing for my undergrad study). thanks.